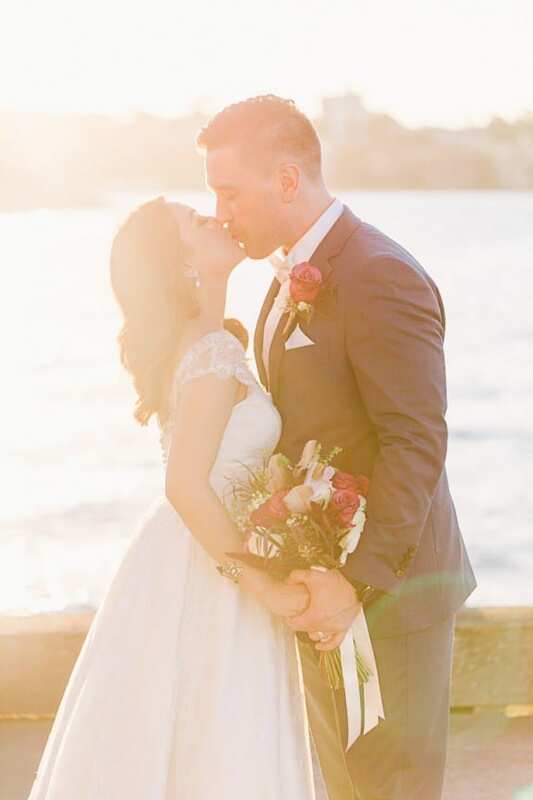 For Alex and Brad it was definitely not love at first sight. 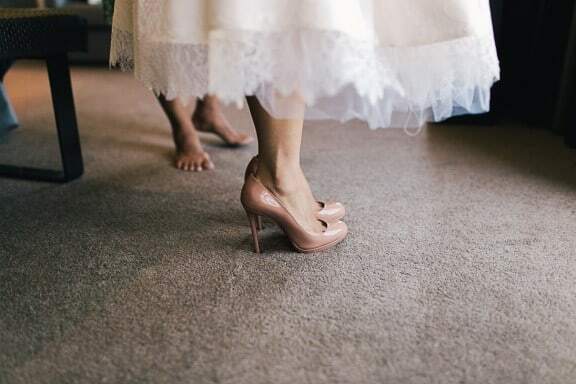 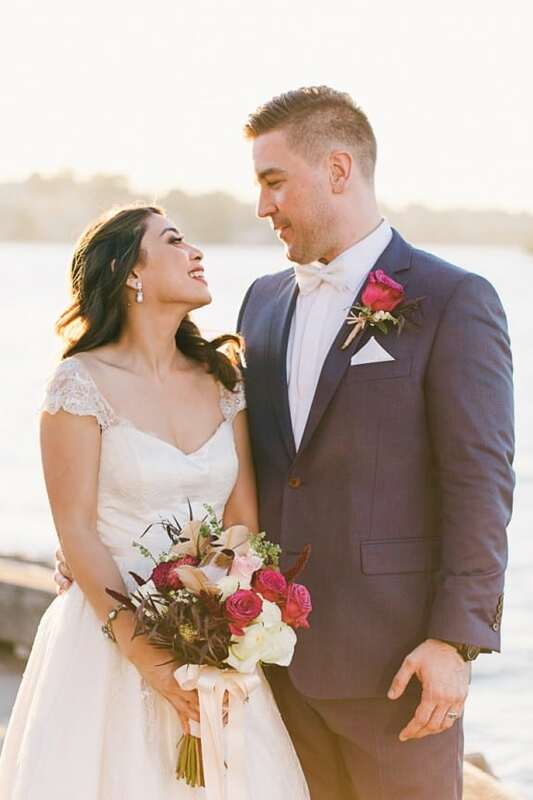 Alex confesses that when they met at work in 2010 they each thought the other was a snob – impossible to imagine when you see the loved-up couple in these images by Towards the Moon! 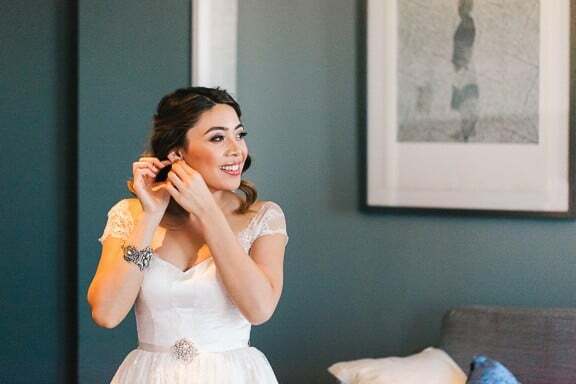 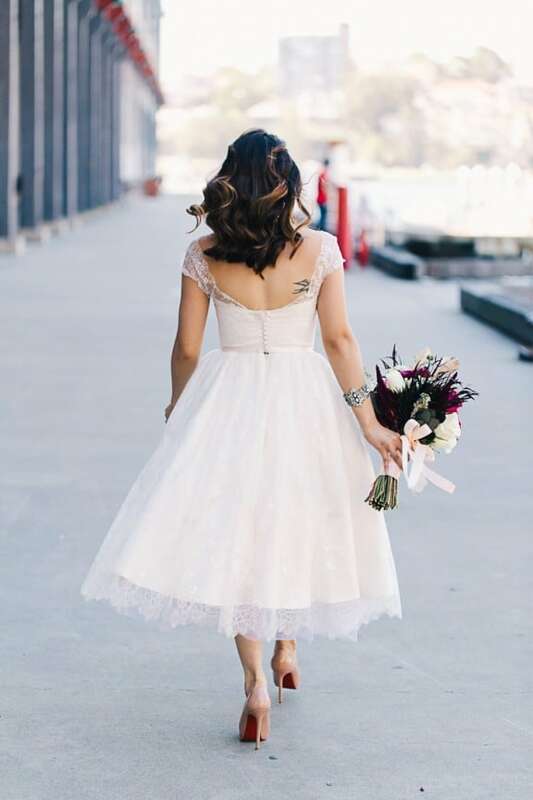 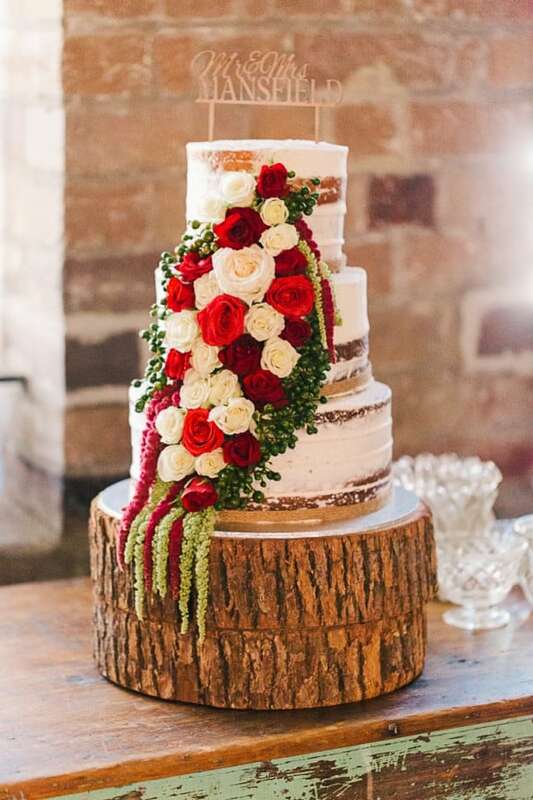 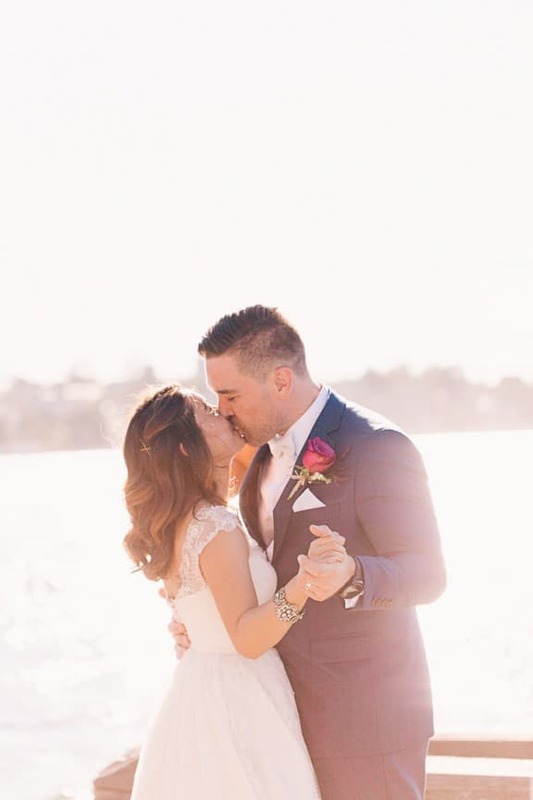 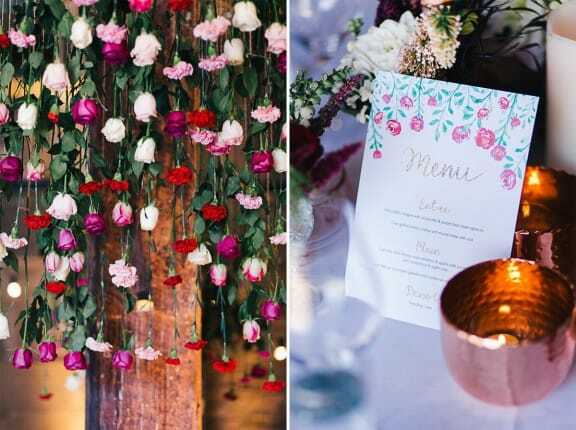 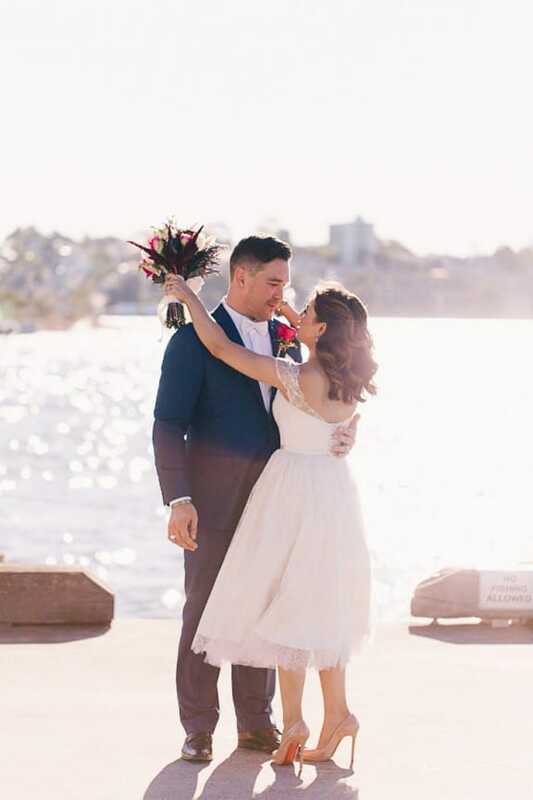 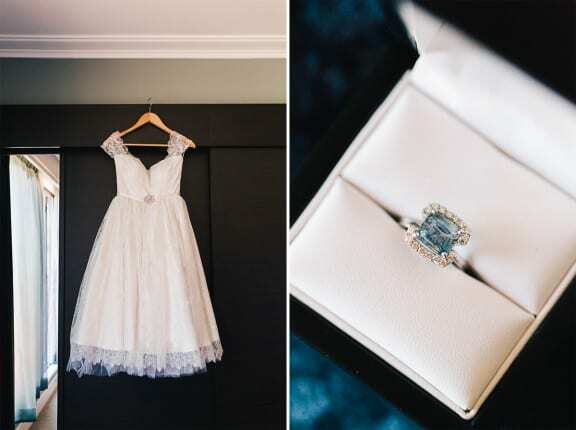 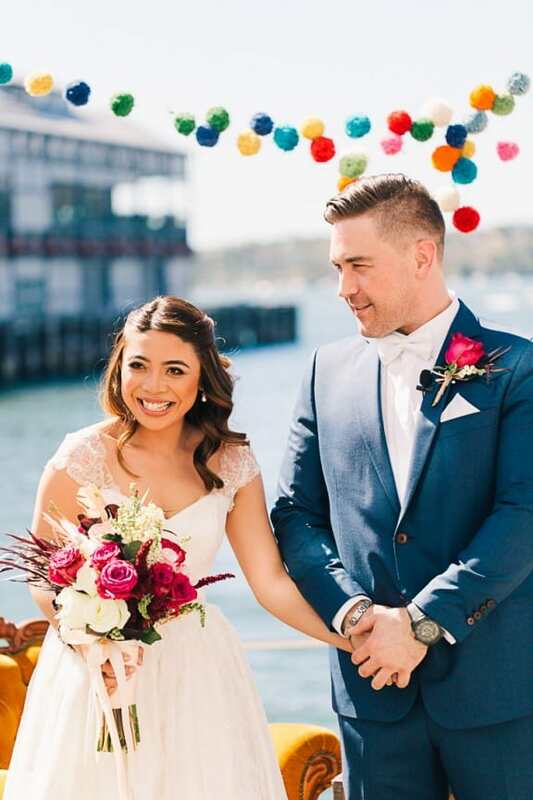 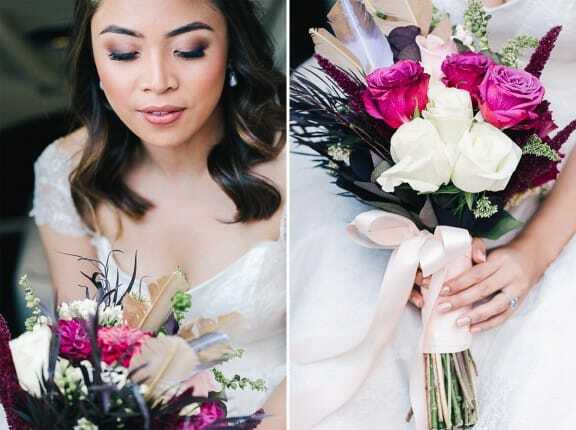 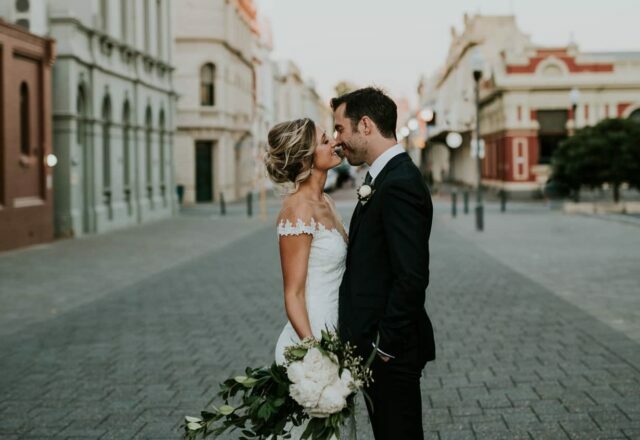 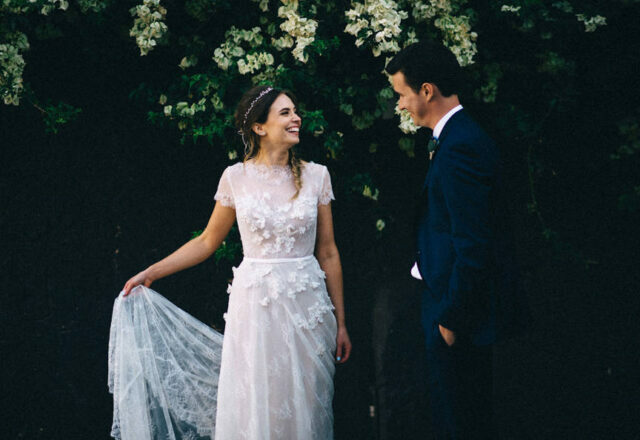 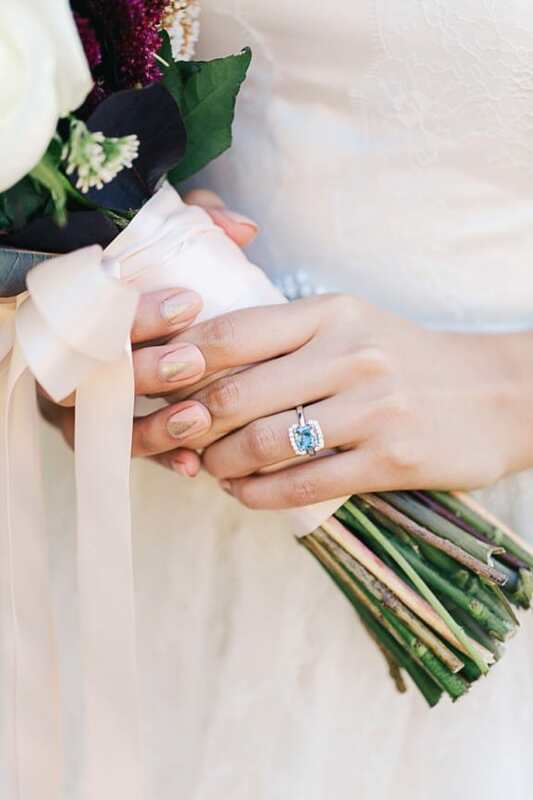 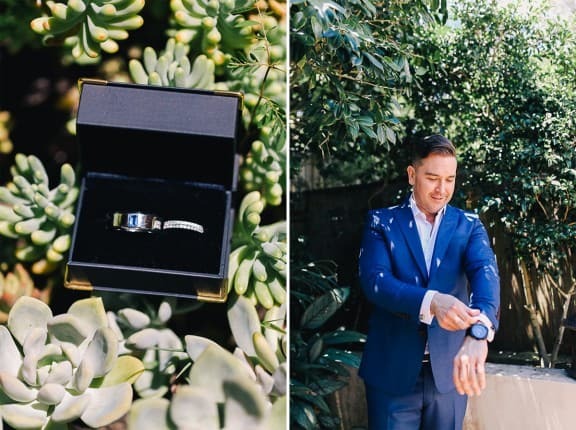 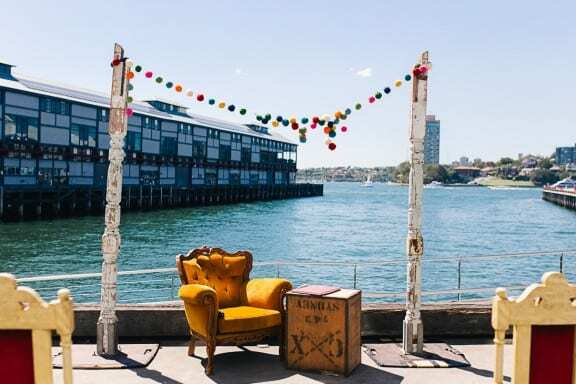 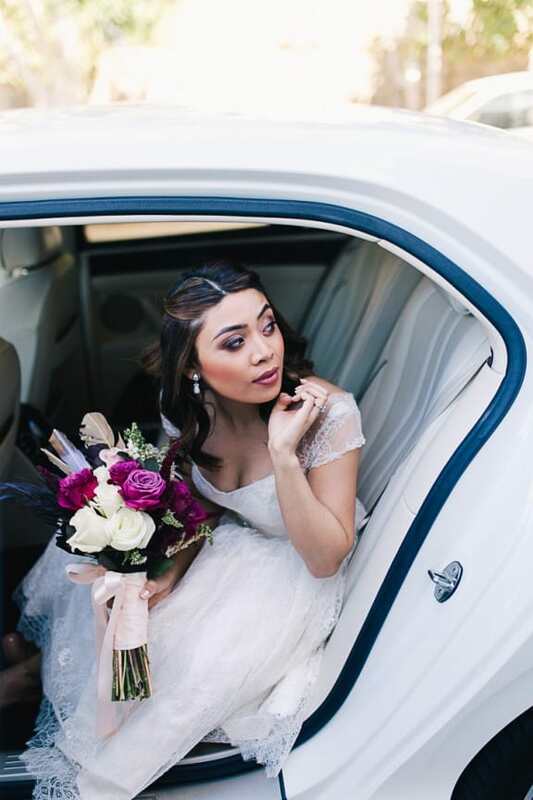 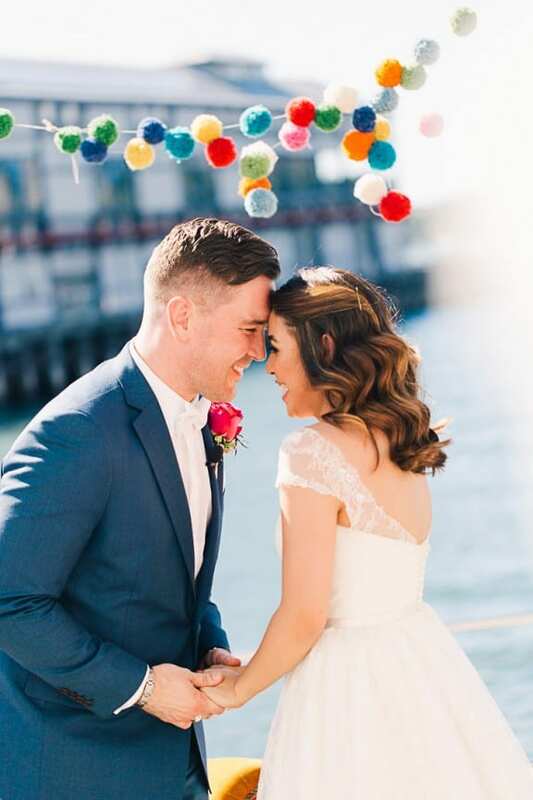 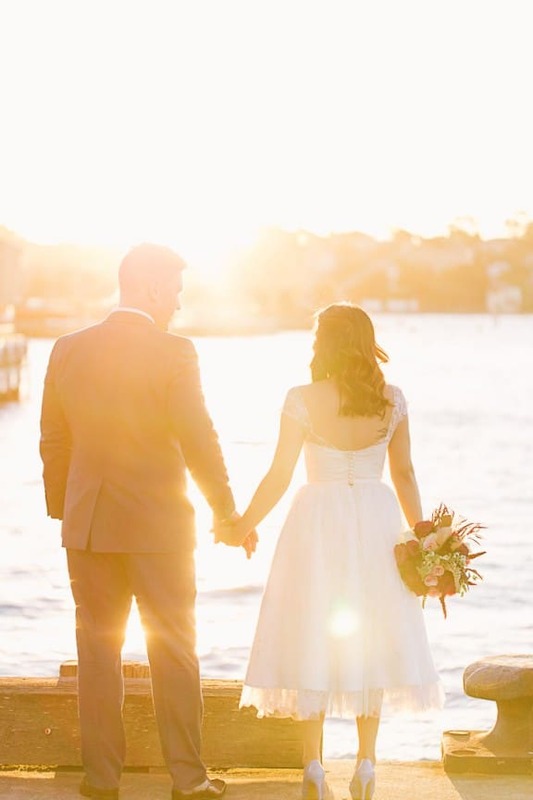 When planning their wedding, the Sydney couple were drawn to the look of exposed brick and beams and chose the industrial setting of Simmer on the Bay at The Rocks. 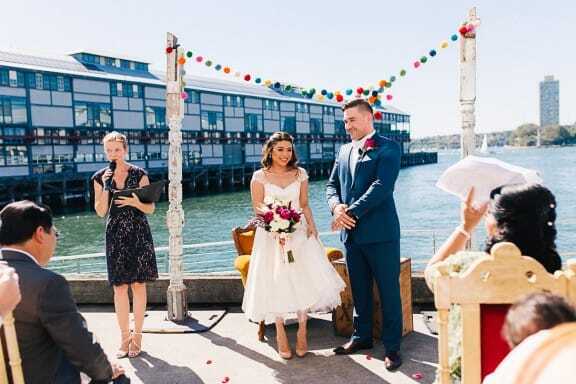 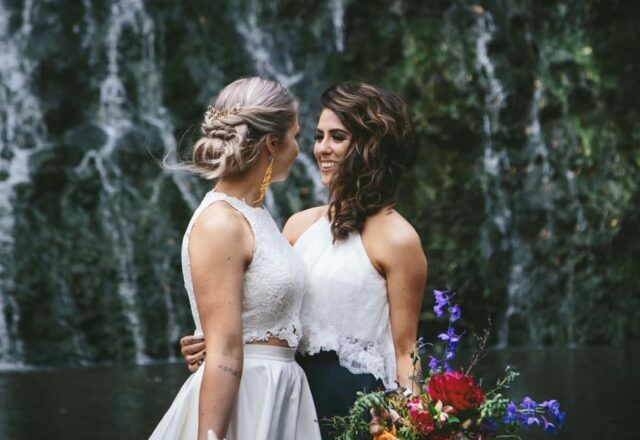 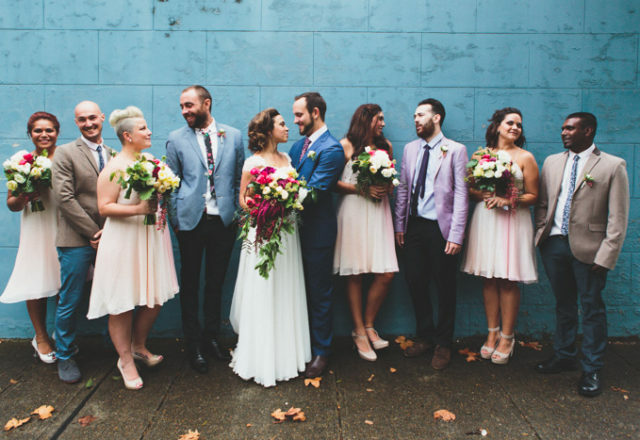 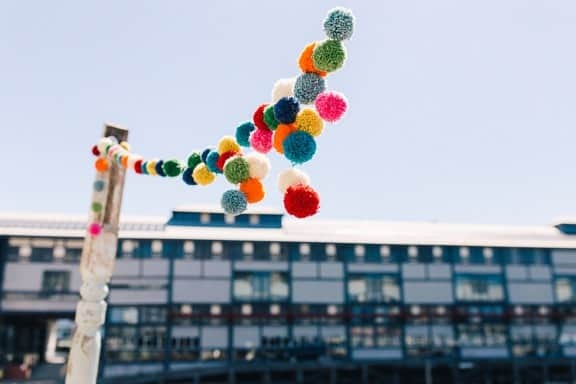 The waterside location was ideal for their colourful ceremony where guests were entertained by the sweet sounds of Tillee Music whilst the bride and groom said “I do”. 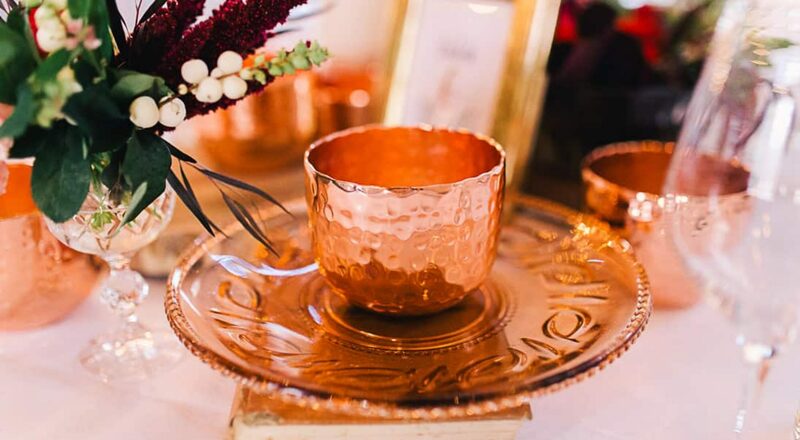 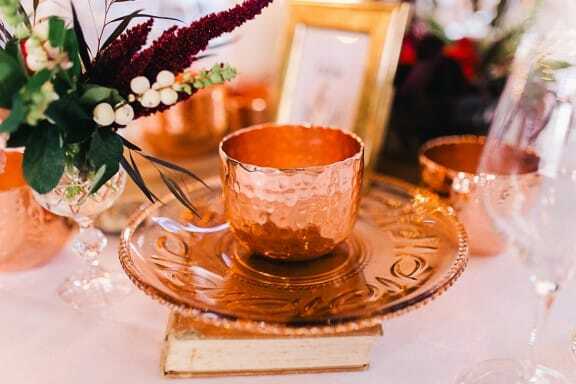 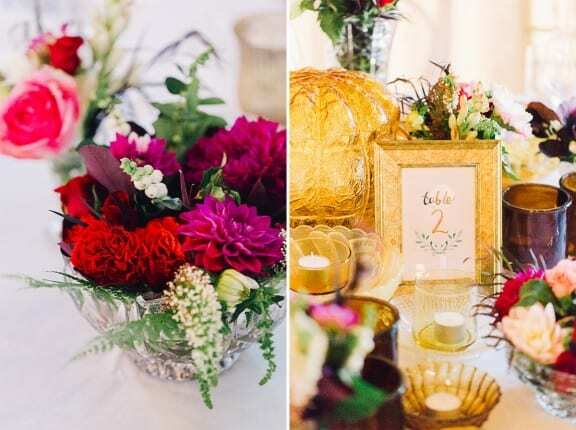 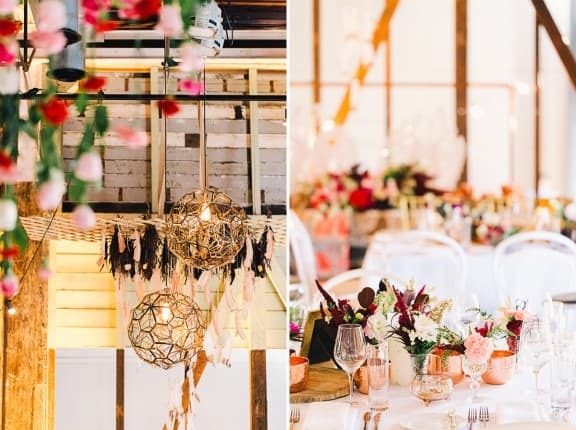 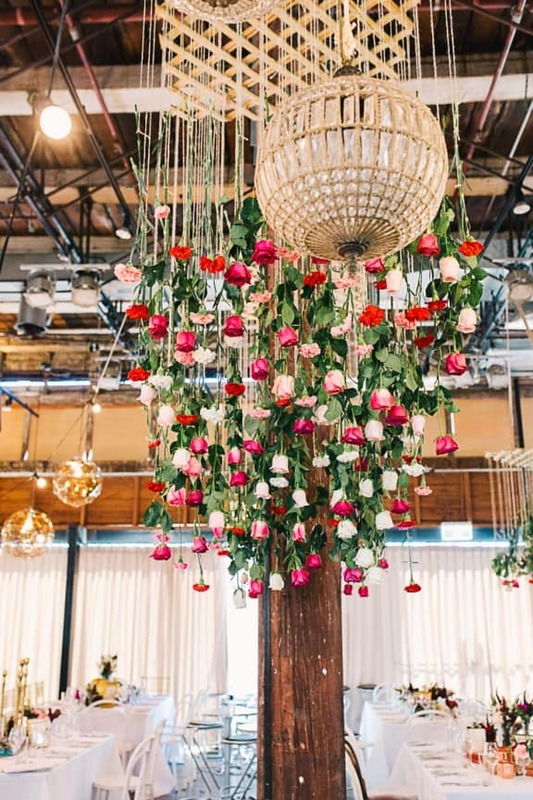 Sheree of She Designs transformed the reception space into an eclectic haven, layered with rich colour and an array of textures. 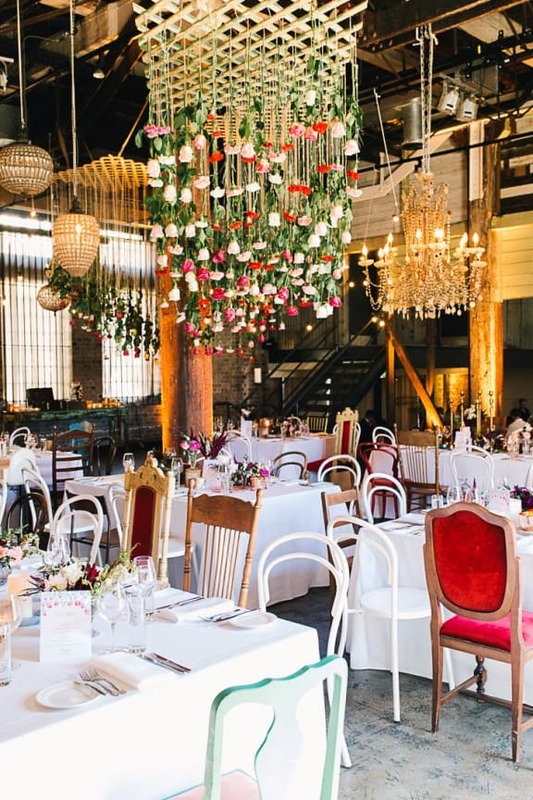 The elegant floral and feather installations by Justine Rose, custom watercolour stationery by Suely Lu, amber lighting and mismatched vintage chairs contrasted with the existing concrete, metal beams and glass to create a warm but edgy space.